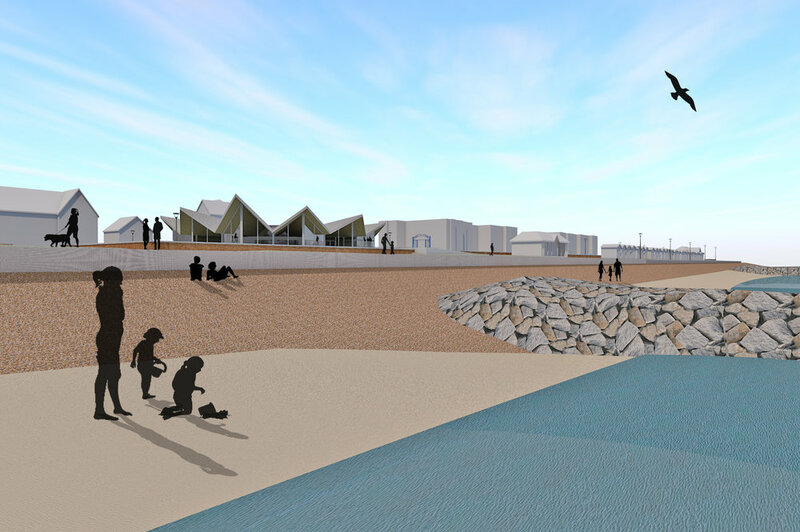 Plaice have submitted a planning application on behalf of Suffolk Coastal District Council for a proposed development in the heart of Felixstowe South Seafront. The proposal sets out plans for a new restaurant, café and events space in Martello Park, the design of which will be based around strong coastal themes and sympathetically balances its sensitive location whilst also being an iconic visual draw to the South Seafront area. Plaice provided designs for an engagement event that was held by Suffolk Coastal District Council, through Felixstowe Forward, in July 2018 to seek the views of local people about plans for Felixstowe’s future. The majority of the feedback received was positive and supportive.